Anantnag (6.1%), Budgam (12%), Bandipora (2.5%), Baramulla (3.7%), Kupwara (26.3%), Srinagar (5.1%), Leh (44.2%), Kargil (73.6%), Jammu (43.4%), Poonch (63.5%), Rajouri (67.7%). 1:32 PM: Total 964 out of 26149 votes polled in Baramulla until 1pm. Voting percentage: 3.69%. Anantnag (5%), Budgam (3%), Bandipora (2%), Baramulla (3%), Kupwara (18%), Srinagar (3.5%), Leh (26%), Kargil (33%), Jammu (34%), Poonch (47%), Rajouri (55%). 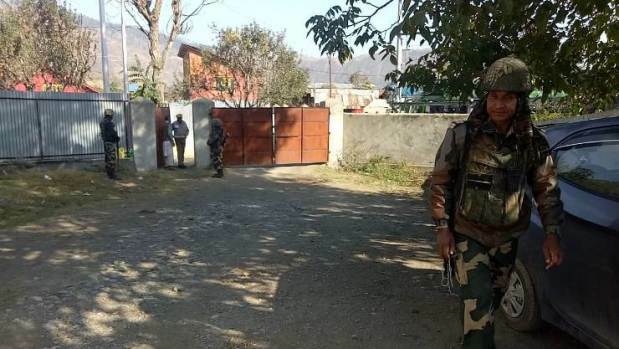 11:10 AM: A complete shutdown is being observed in the Kashmir valley following a call issued by the Joint Resistance Leadership against what they said “sham elections”. 10:30 AM: 1.39 per cent voted polled till 10 am in Bandipora. Giving a gender-wise breakup, an official said that 173 males and 87 females exercised their franchise. 10 AM: 15 per cent votes polled in Jammu Municipal Corporation until 9 am. 8:40 AM: 56 votes were cast at ten polling booths so far in Baramulla town. 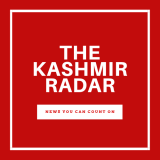 Five booths witnessed zero polling Two main regional parties, the National Conference (NC) and the Peoples Democratic Party (PDP) have boycotted the polls. Separatist leaders have also called for the boycott of the polls. 422 of 1145 wards are going to polls in the first phase of the municipal elections today. Voting began at 7 am today in the districts of Anantnag (4 wards), Budgam (1 ward), Bandipora (16 wards), Baramulla (15), Jammu (153), Kargil (13), Kupwara (18), Leh (13), Poonch (26), Rajouri (59) and Srinagar (3 wards). Unprecedented security arrangements have been put in place by the state authorities and the election commission, to ensure peaceful polls. Also, all candidates have been provided either cluster security in hotels or individually in the Valley. The polling began start at 7 AM and will culminate at 4 PM later today.